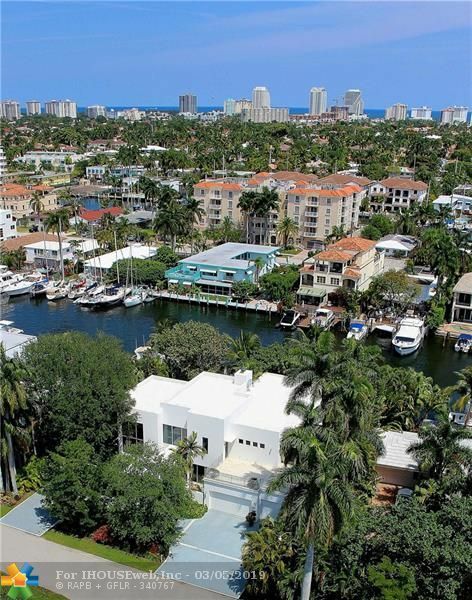 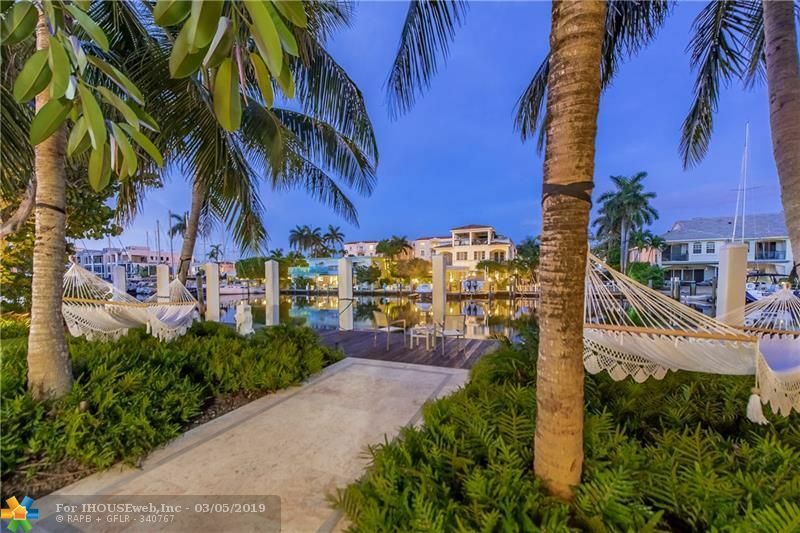 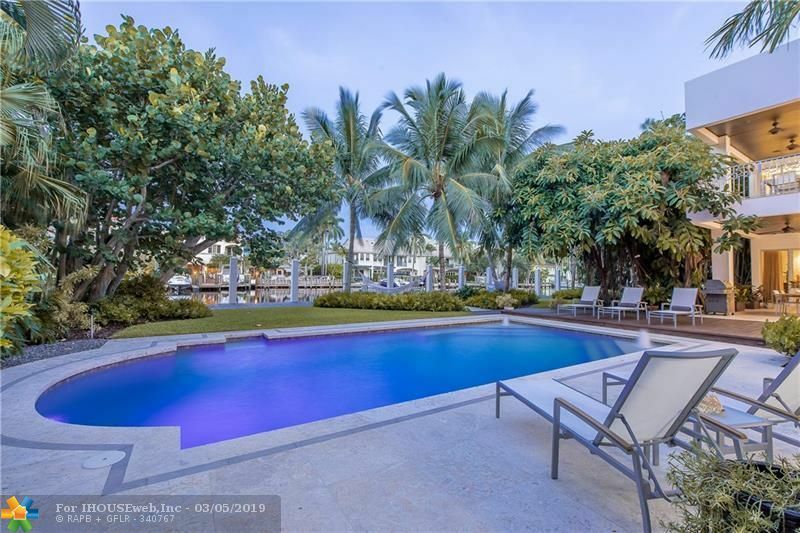 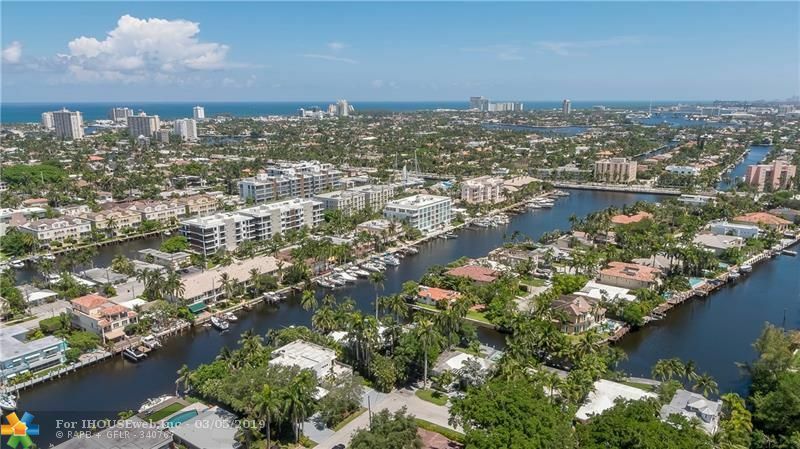 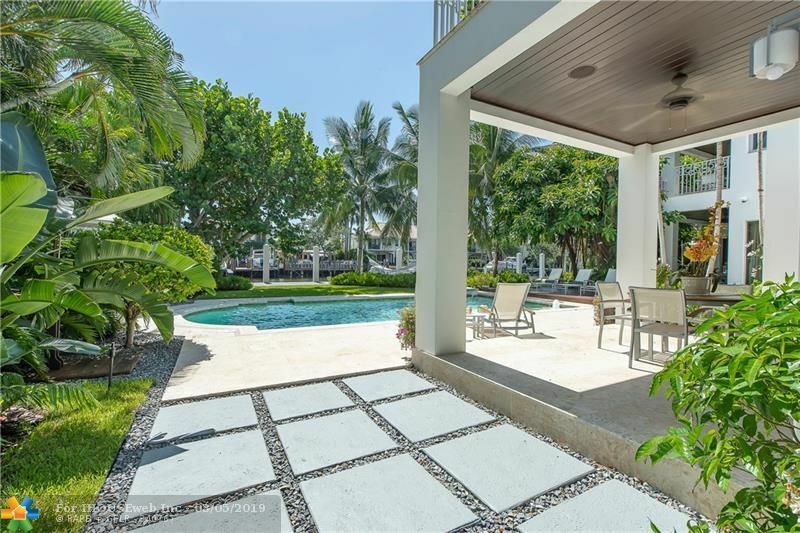 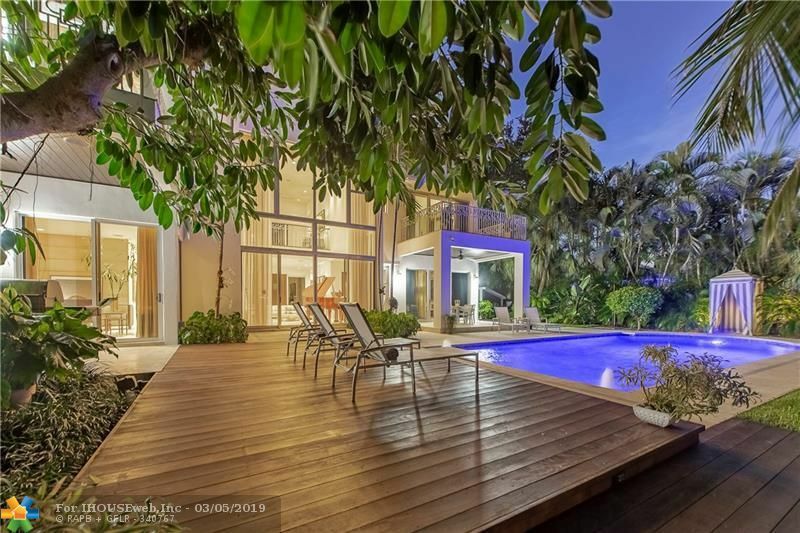 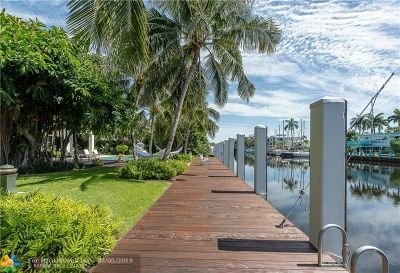 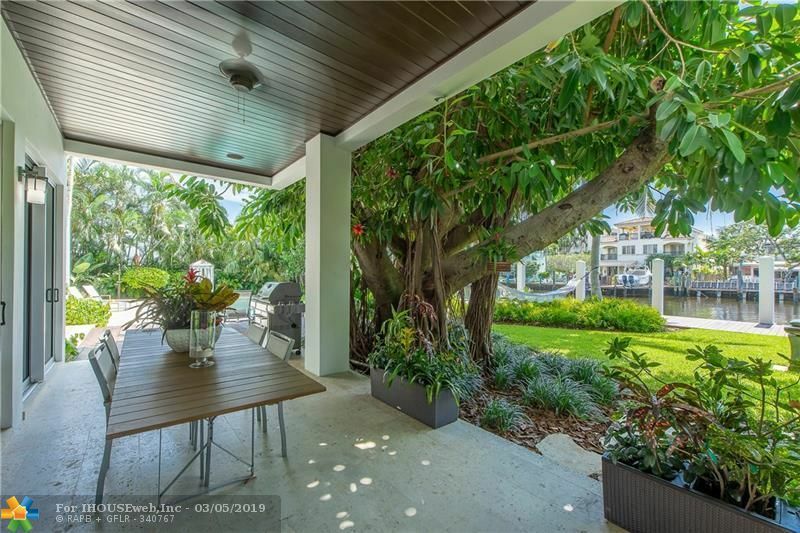 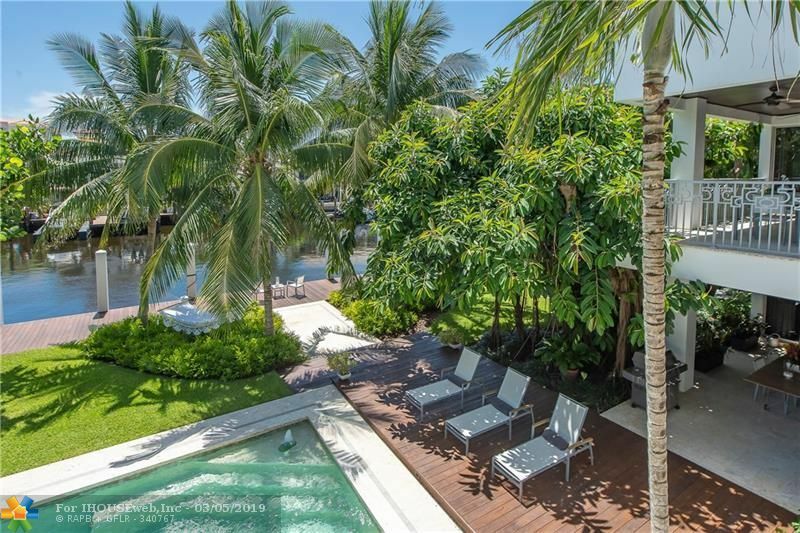 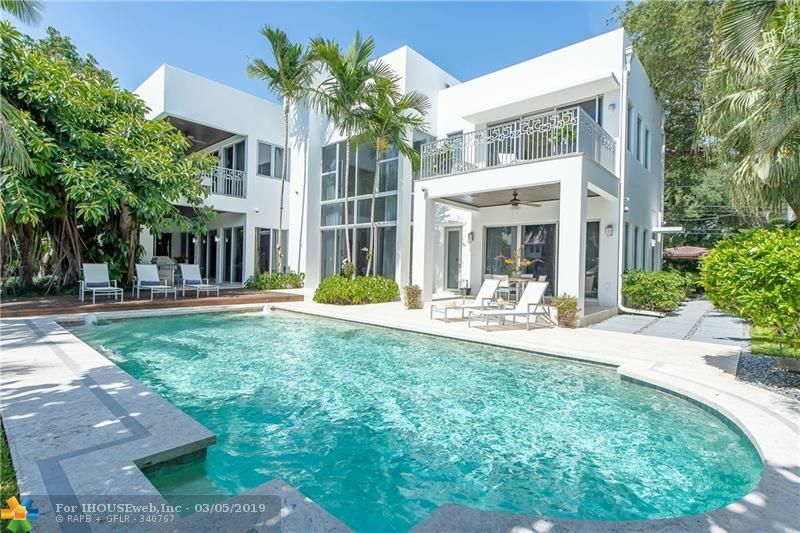 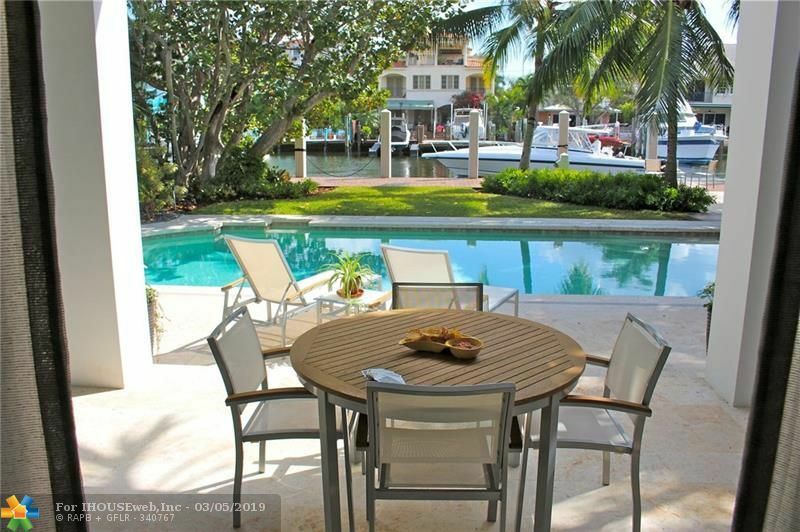 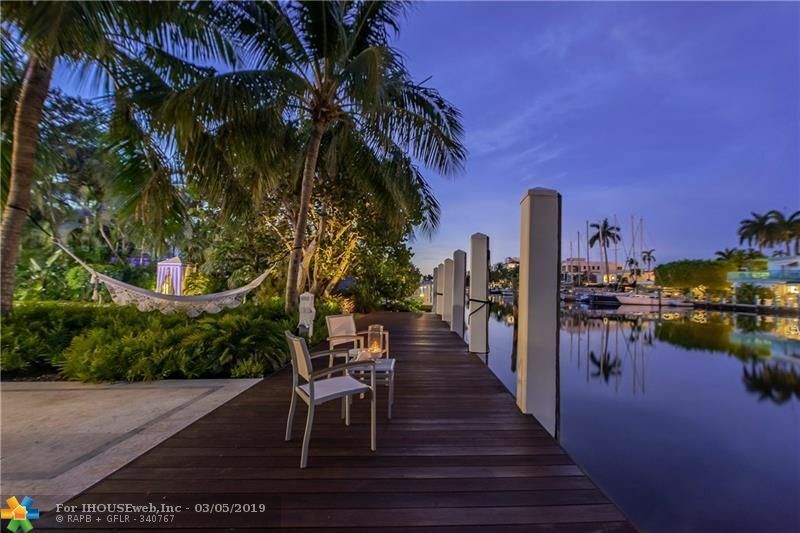 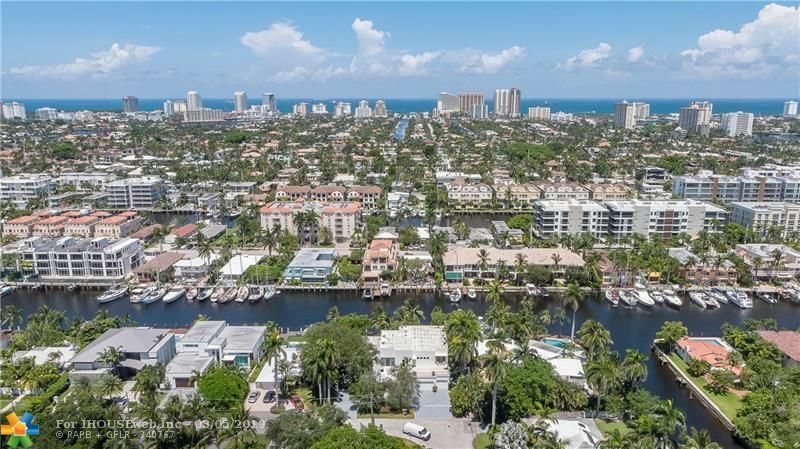 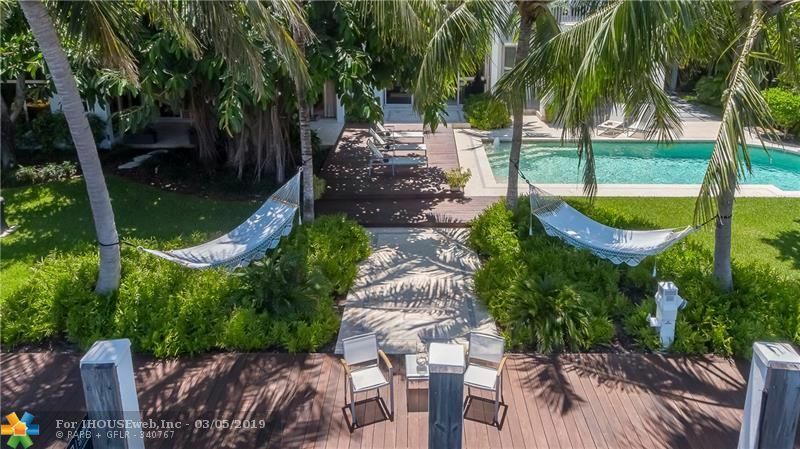 A one third acre tropical oasis with one hundred feet of prime dockage. 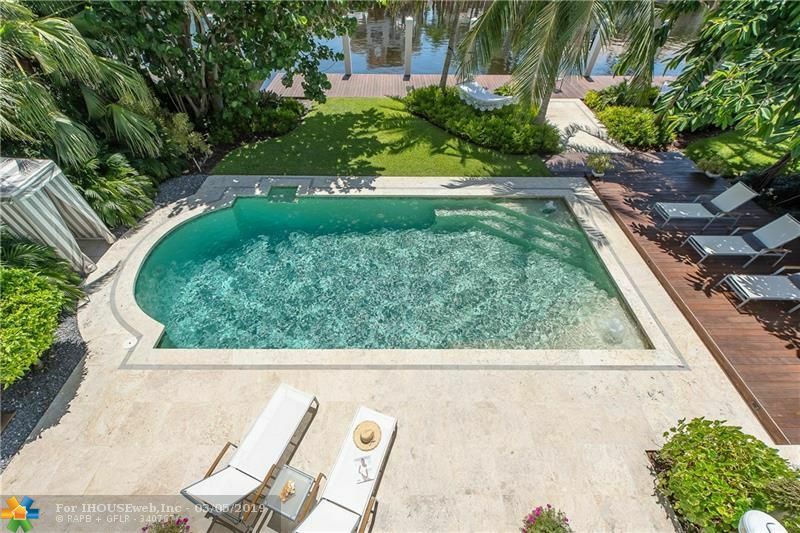 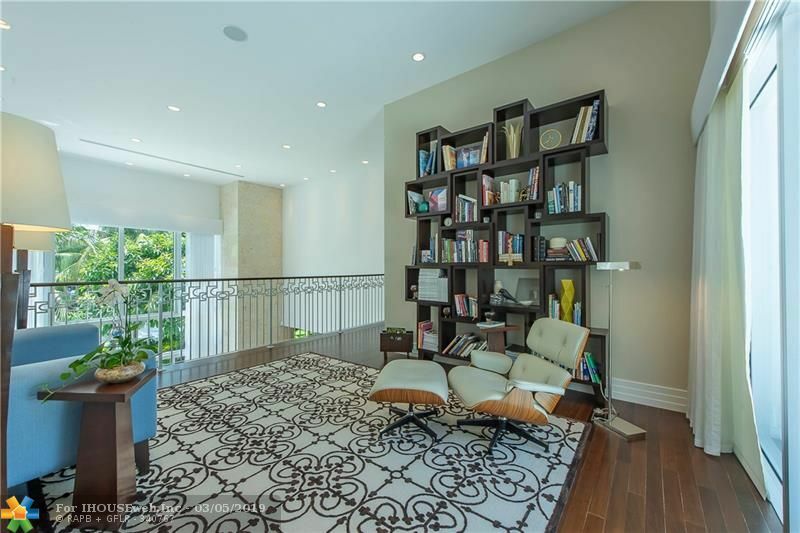 This is a magnificent, deep water estate designed by noted architect Robert Tuthill! 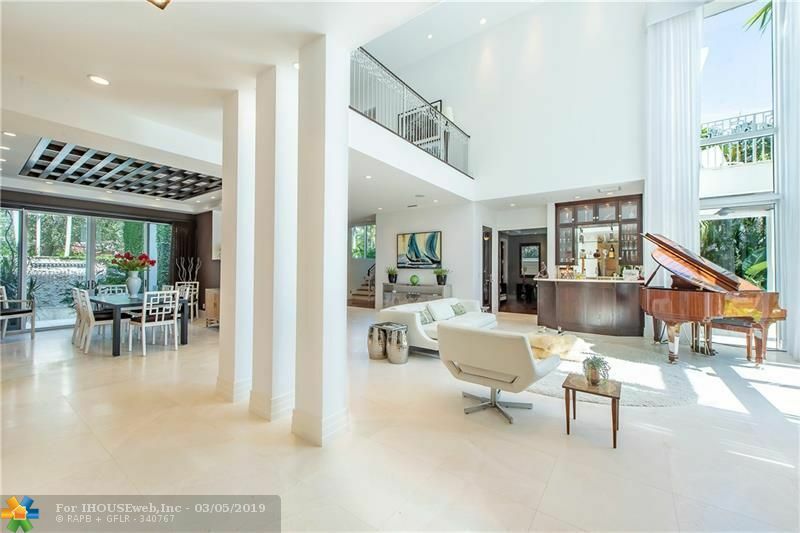 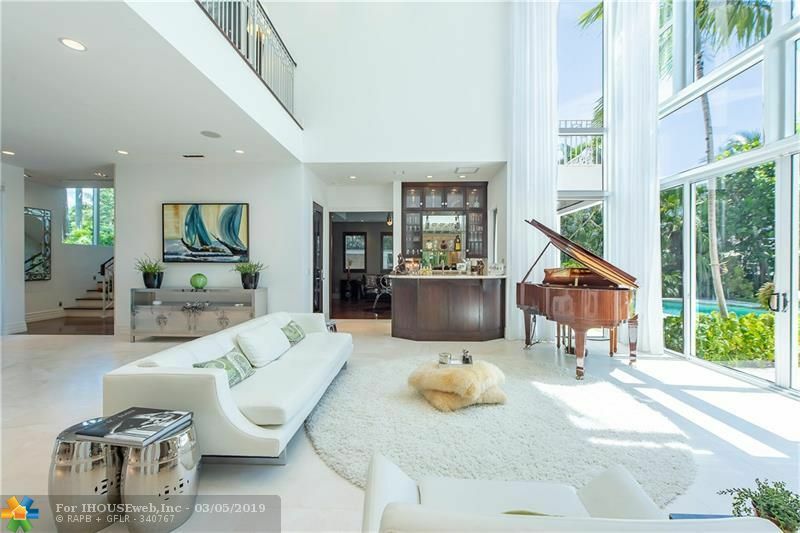 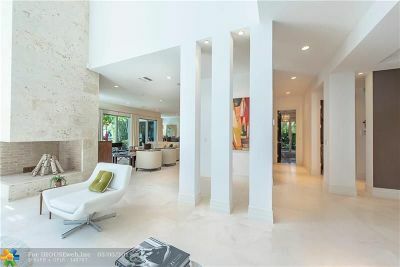 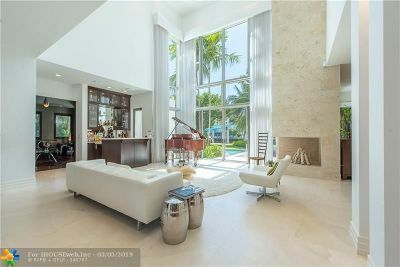 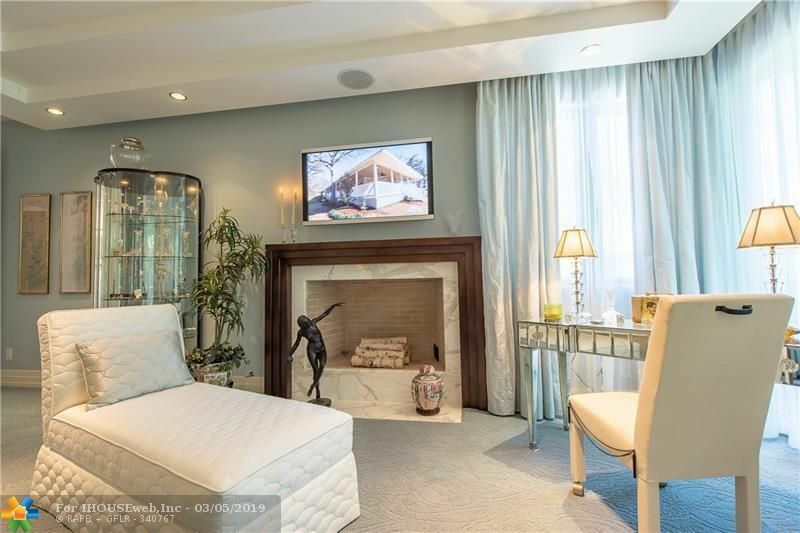 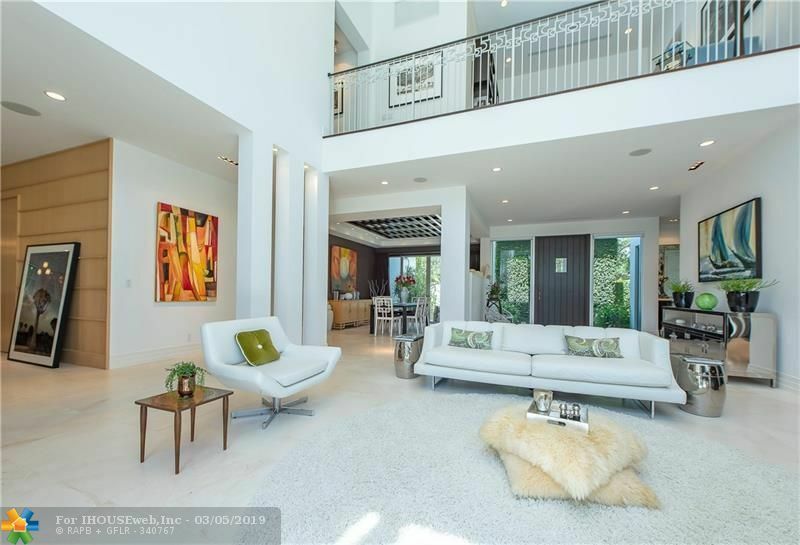 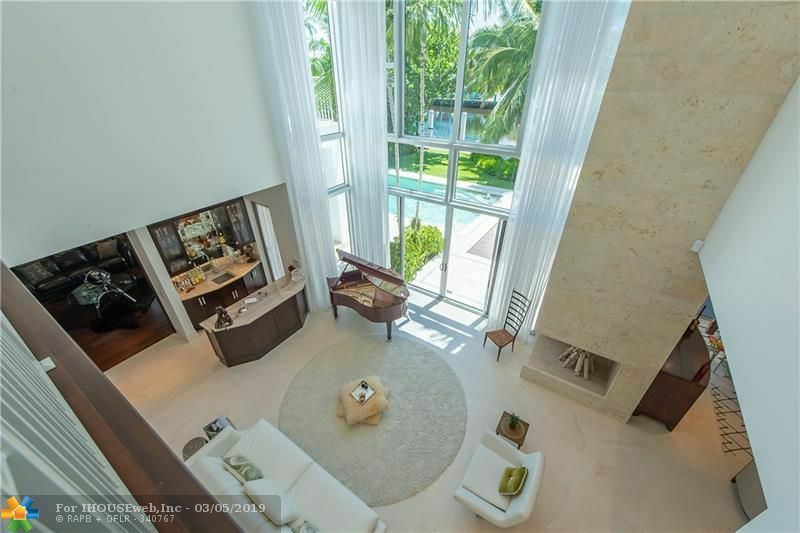 Breathtaking two story living room with dramatic 23' Coquina stone fireplace. 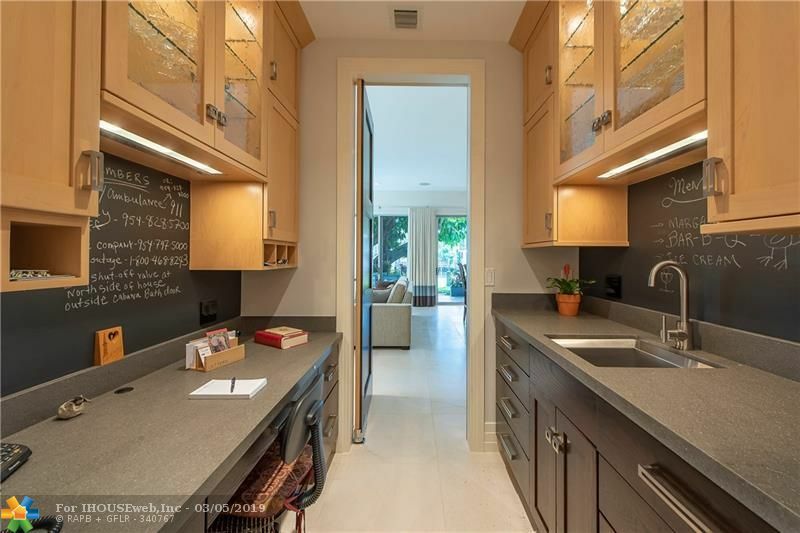 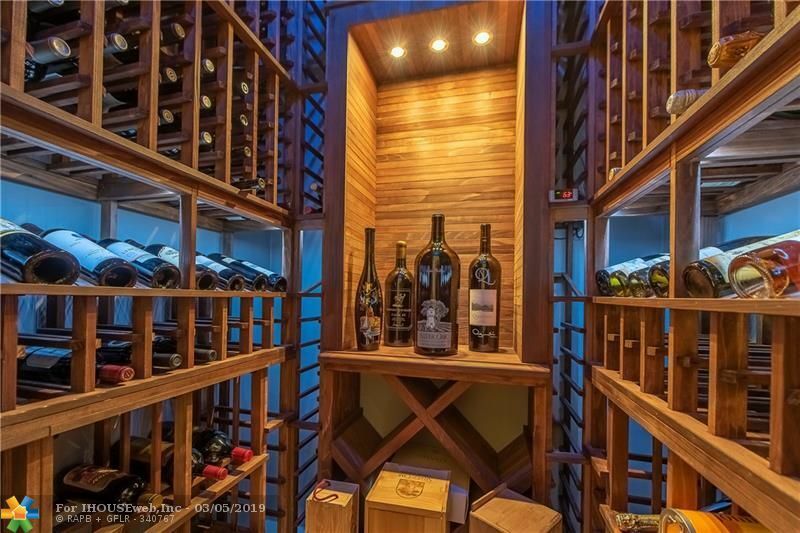 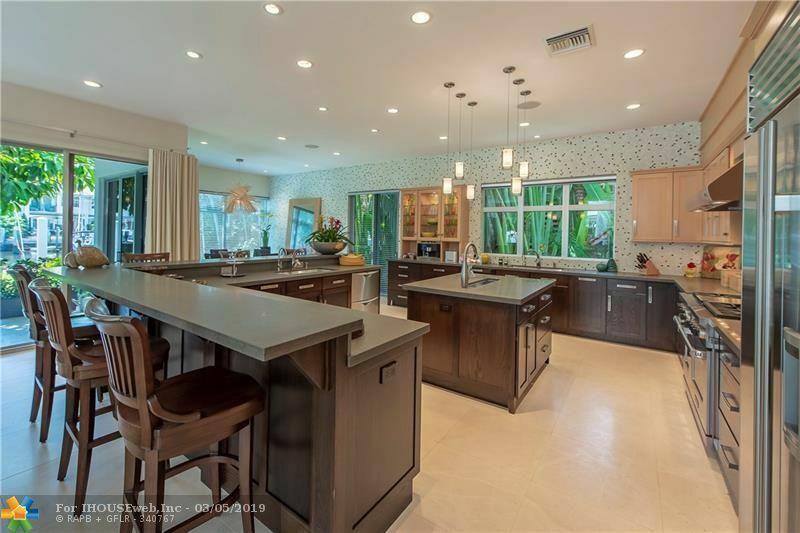 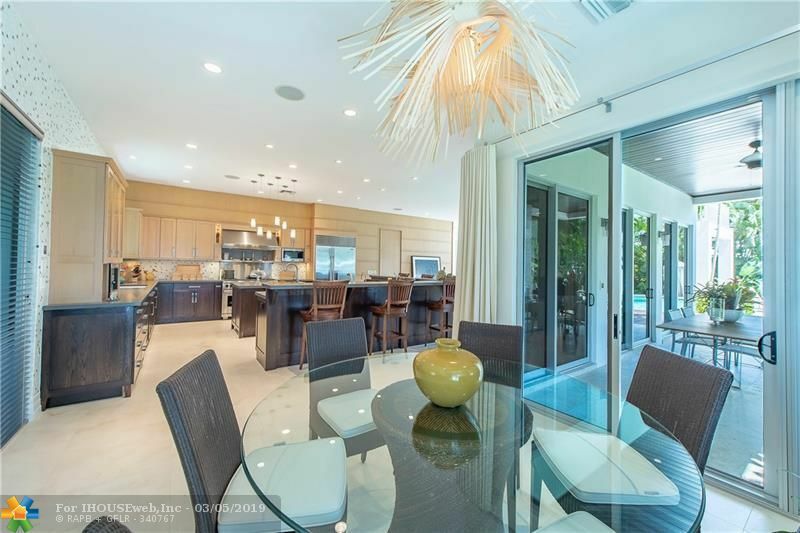 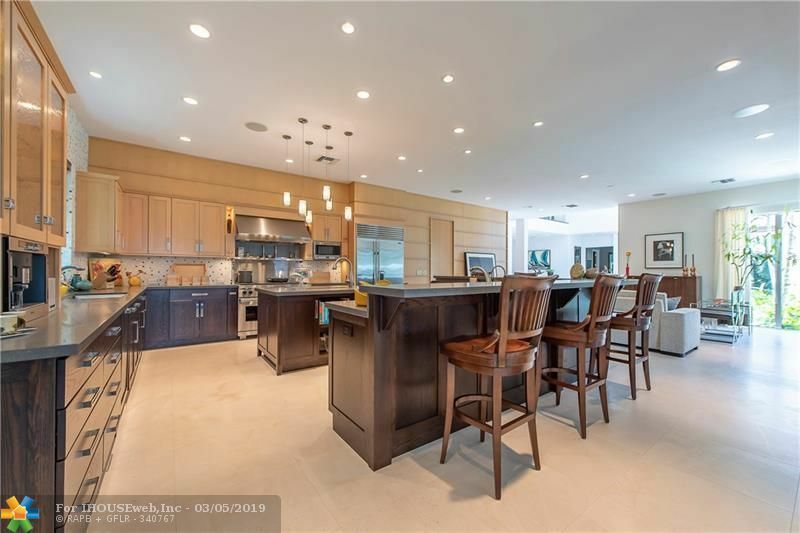 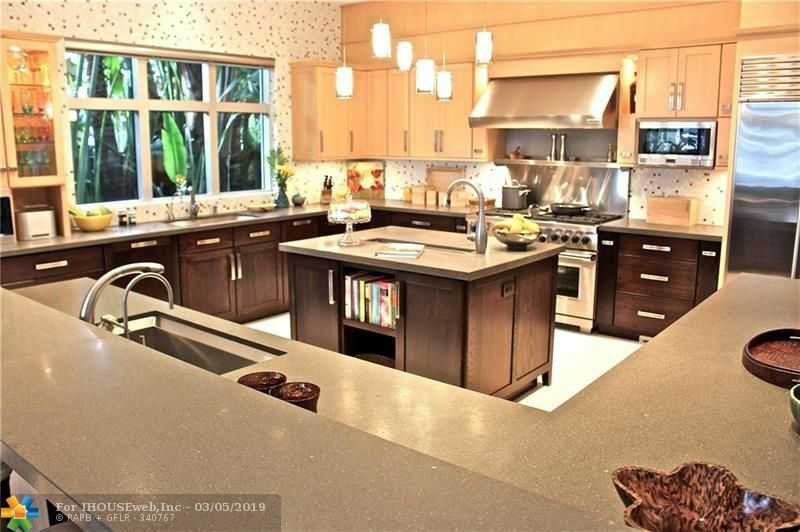 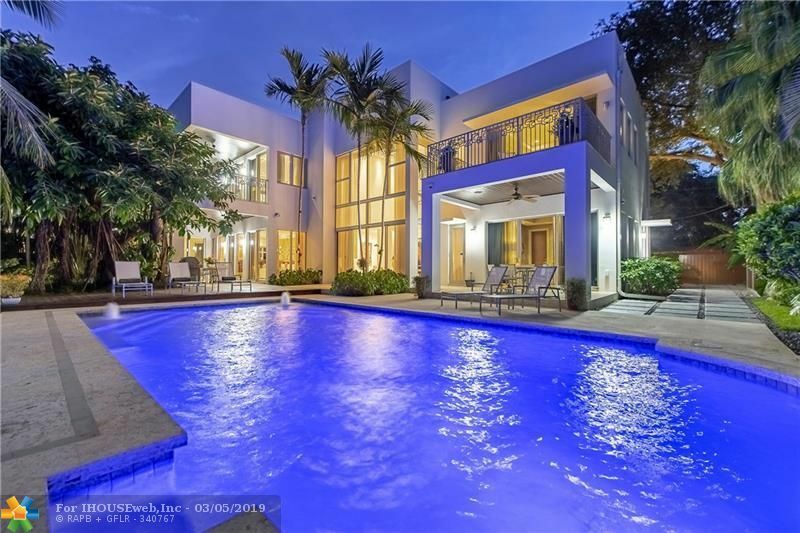 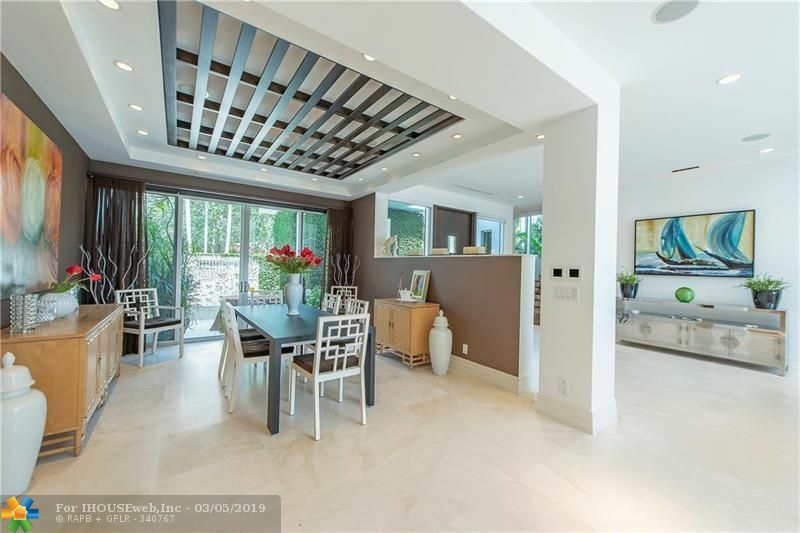 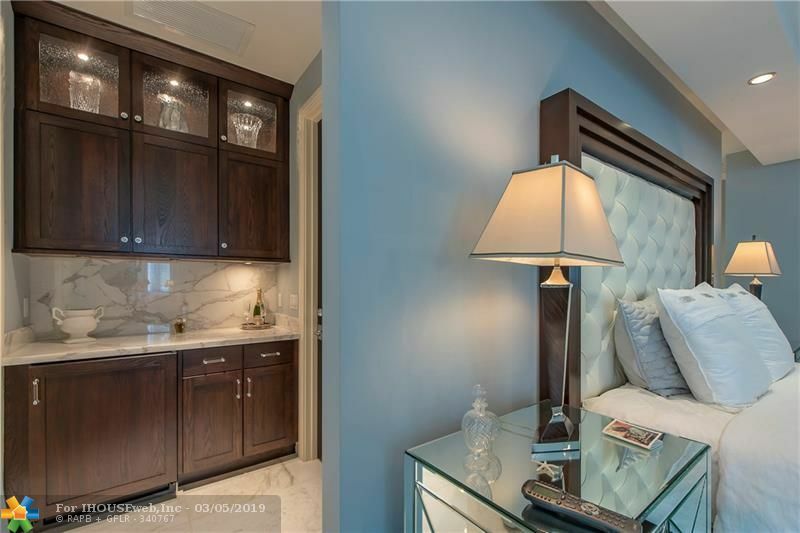 Truly a professional chef's AND baker's kitchen with a six burner Wolf gas range, sub-zero refrigerator, three dishwashers, three sinks, multiple ovens, beverage center, custom cabinetry, butler's pantry and wine room. 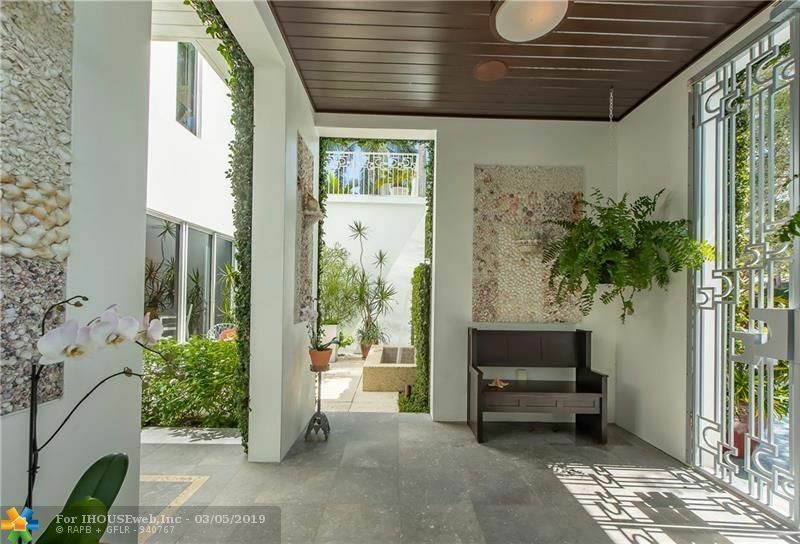 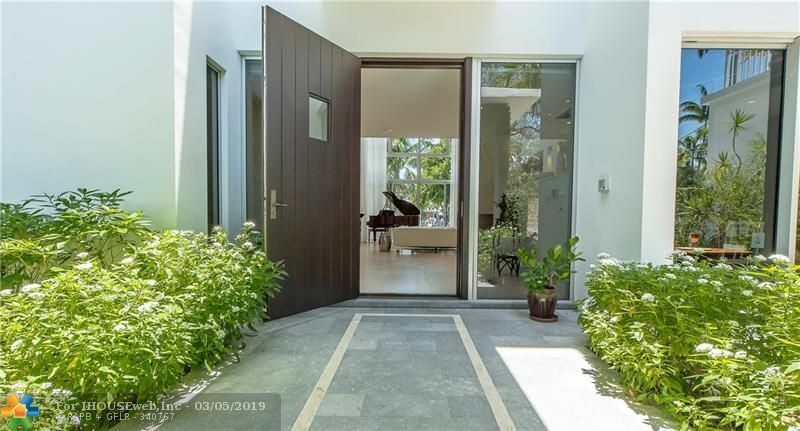 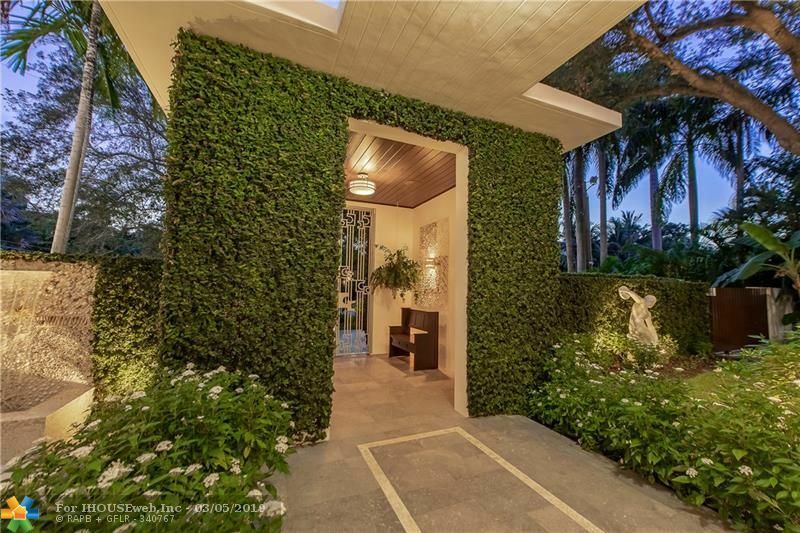 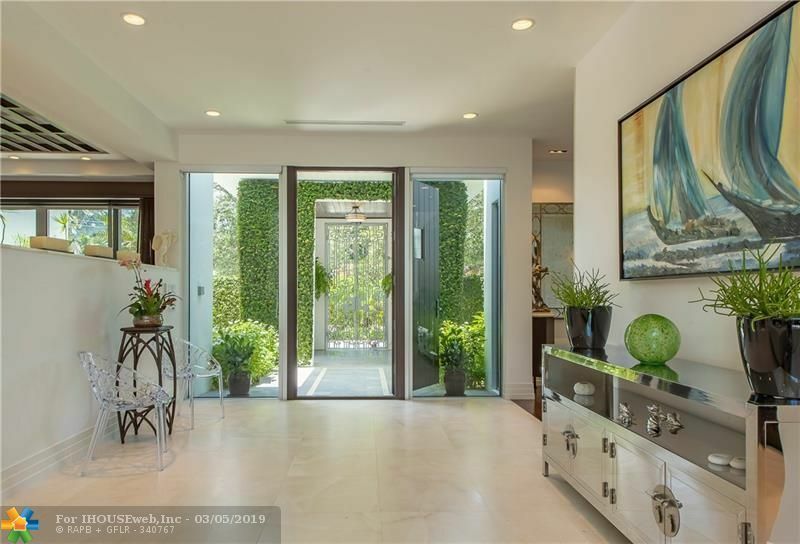 A gorgeous and secure gated entrance leads to the wide front door. 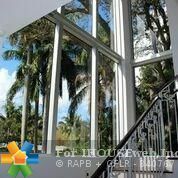 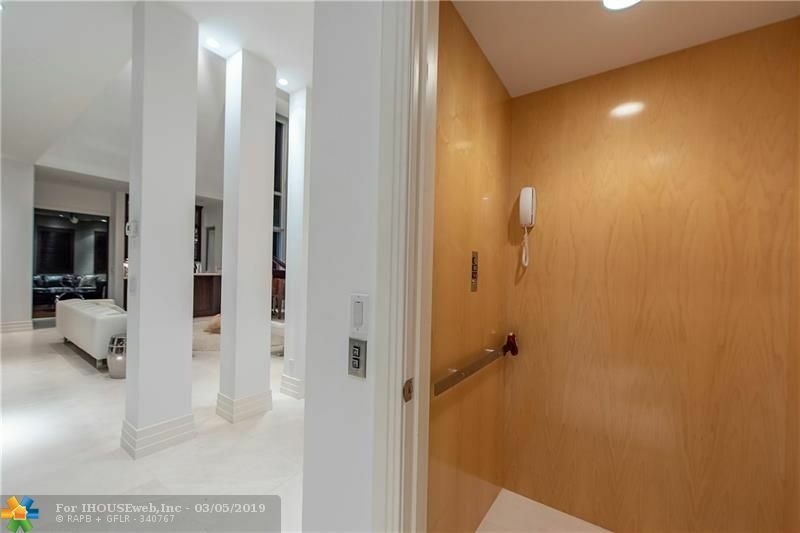 The house has an elevator and impact rated glass doors and windows throughout. 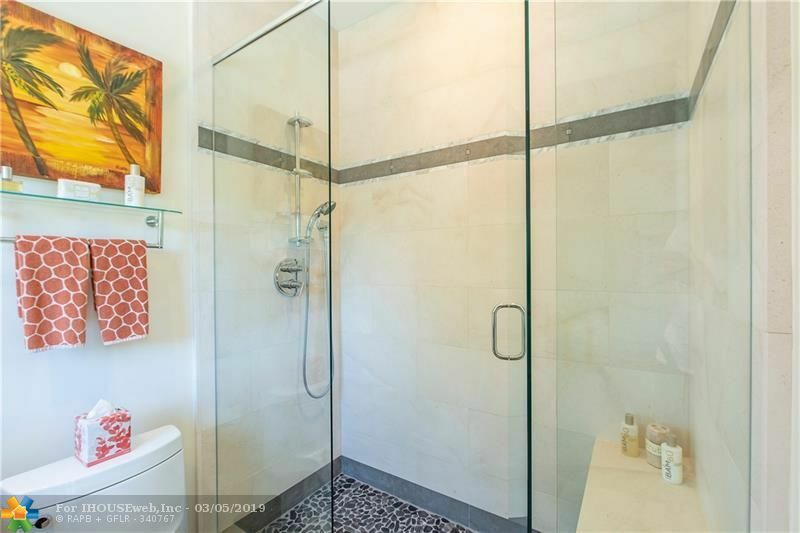 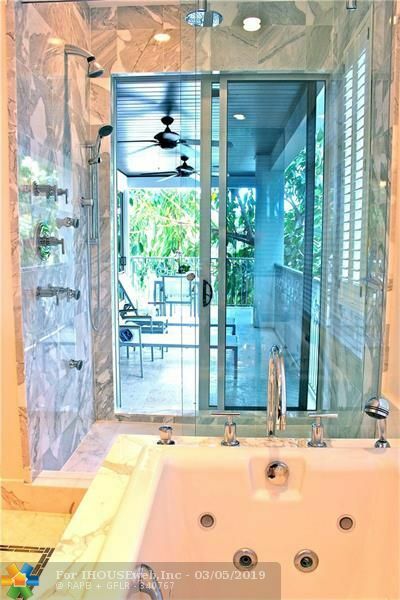 There are separate his and hers master baths. 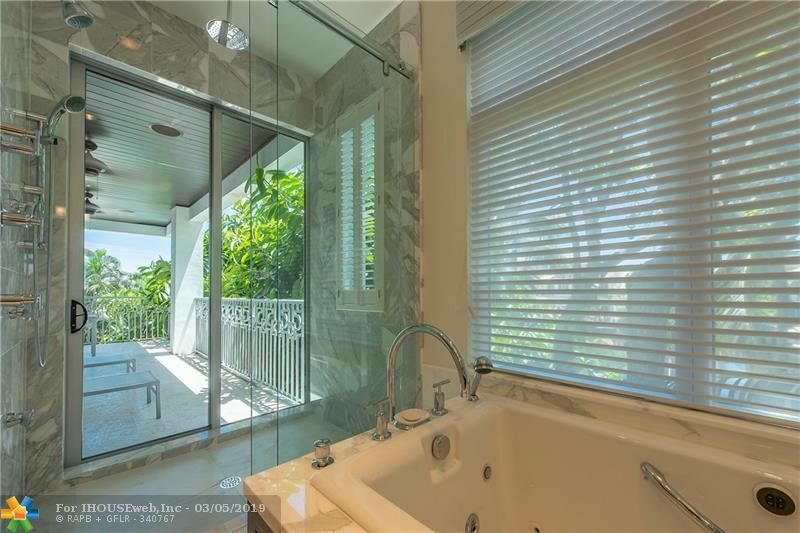 Each bedroom features an en suite bath, walk in closet and private balcony or terrace. 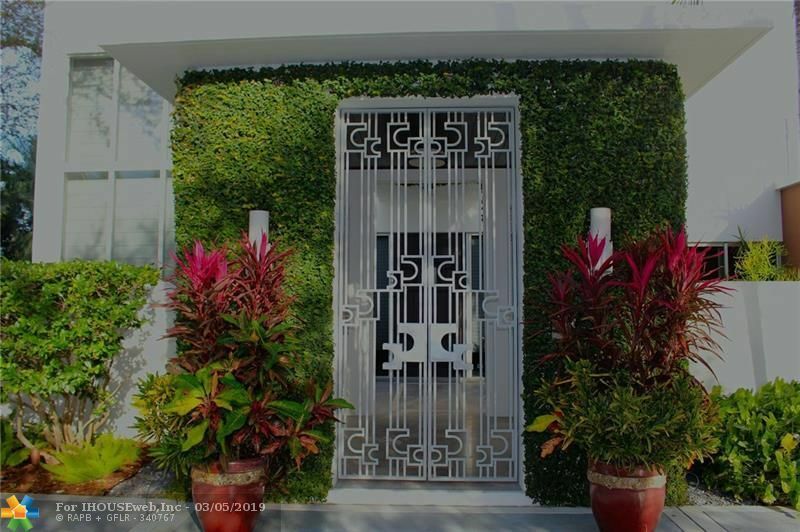 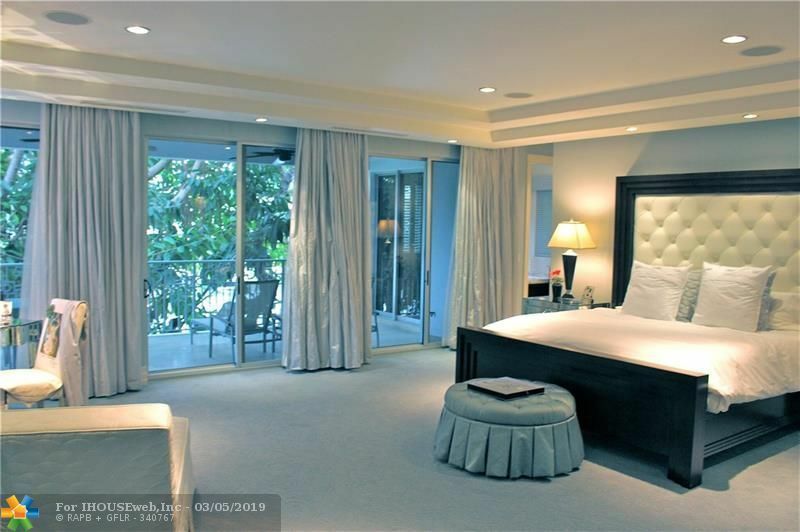 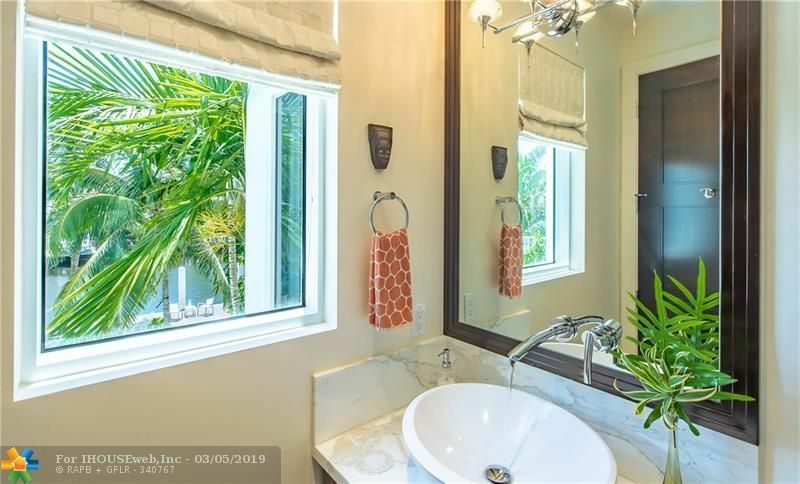 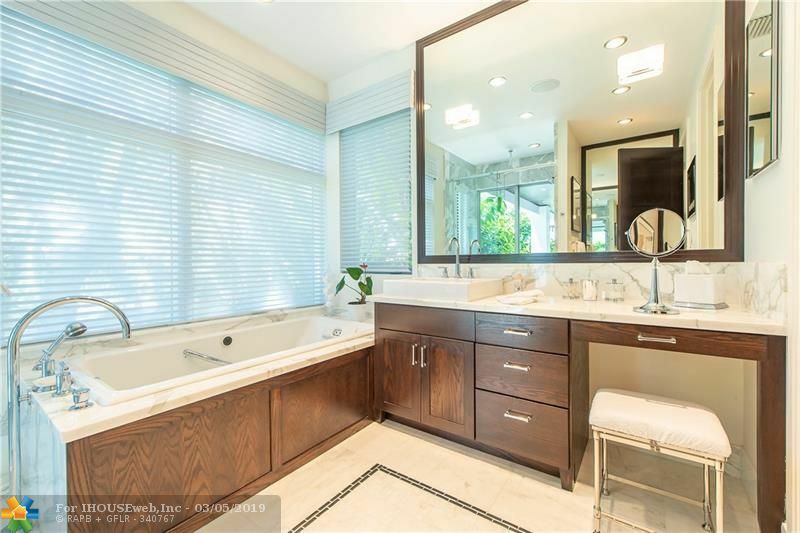 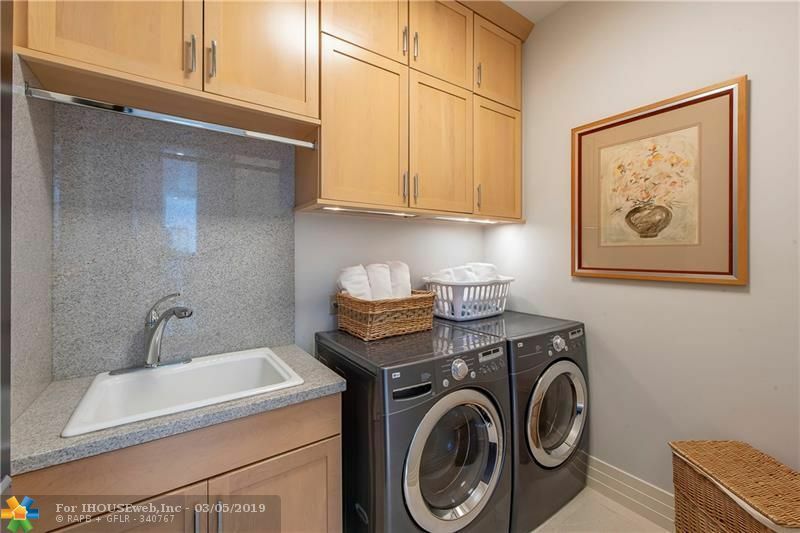 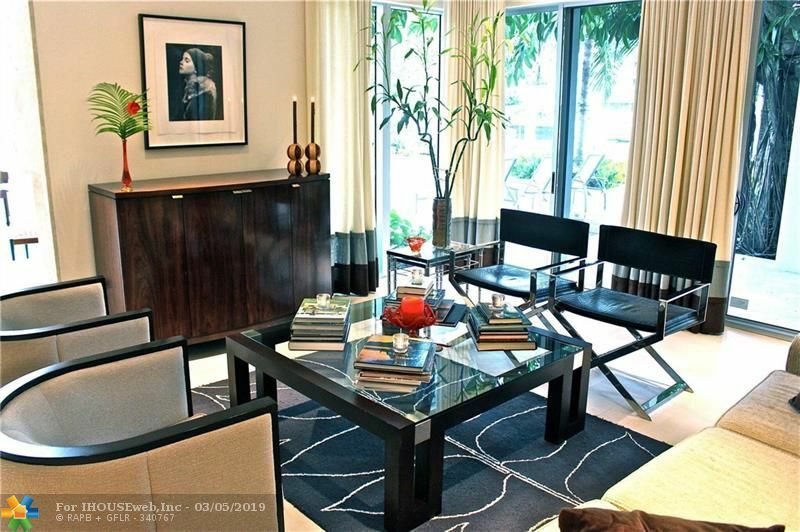 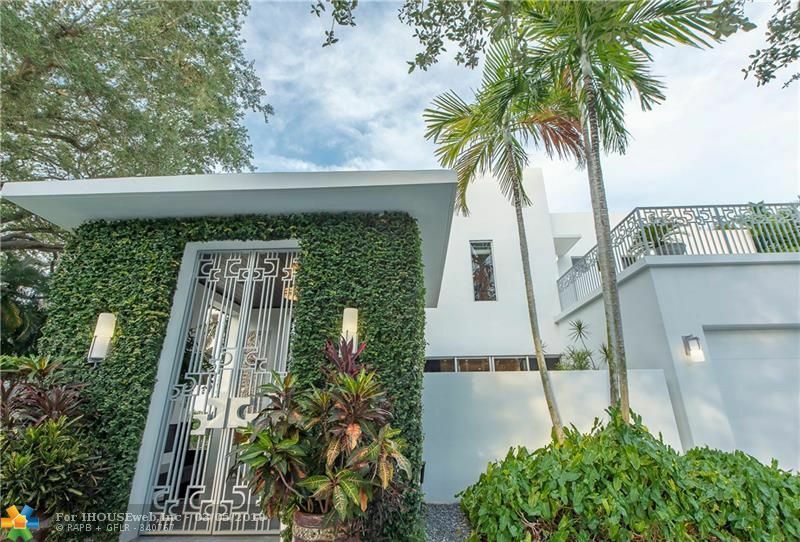 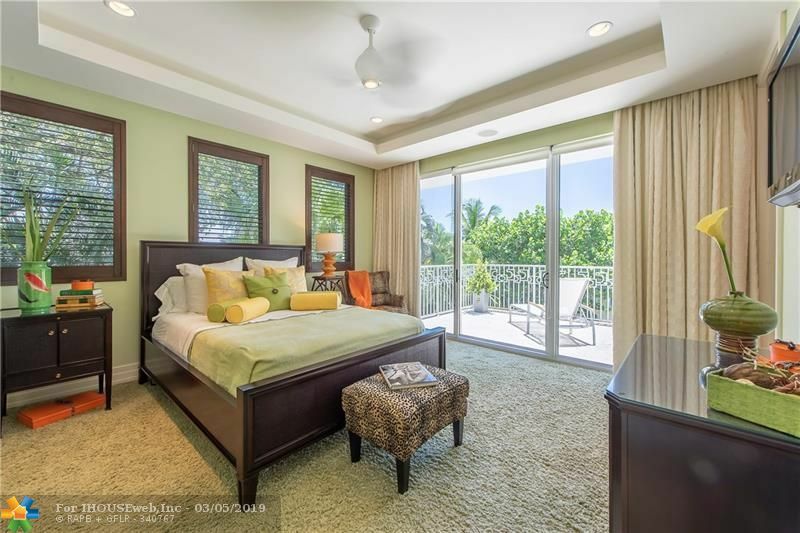 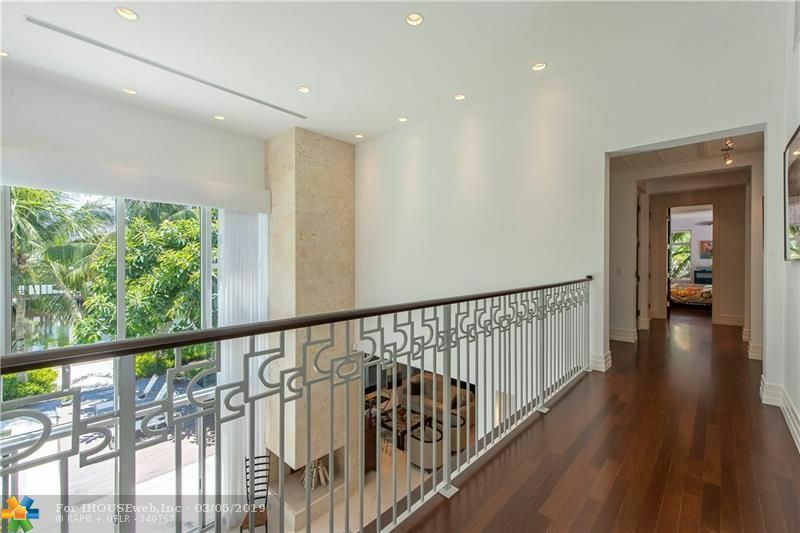 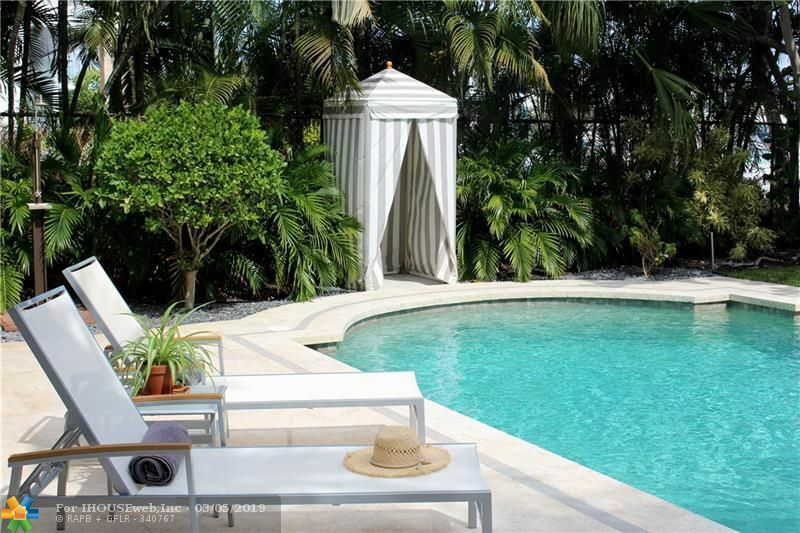 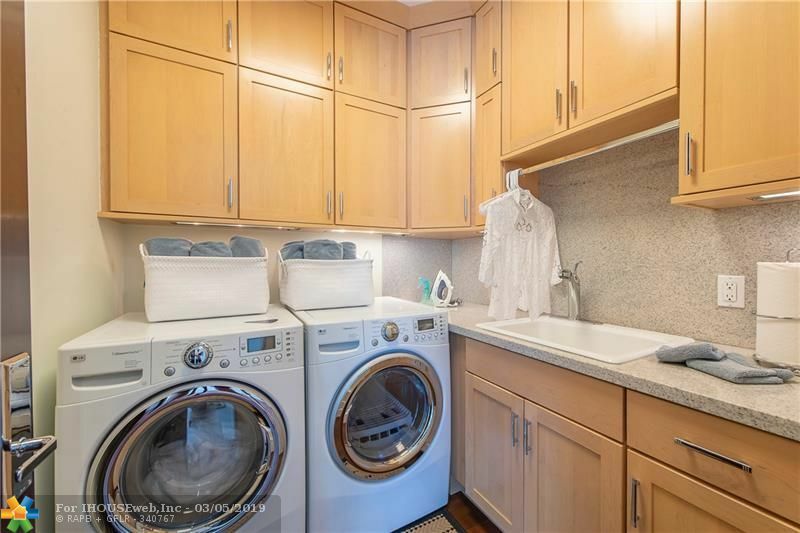 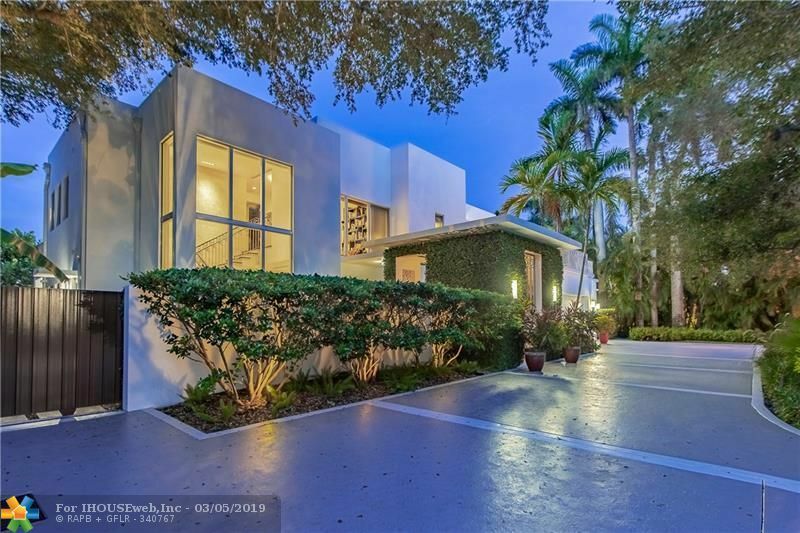 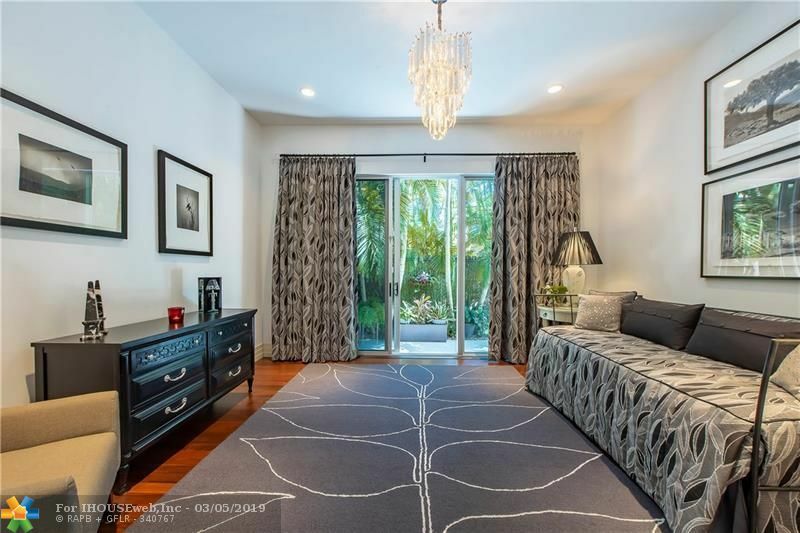 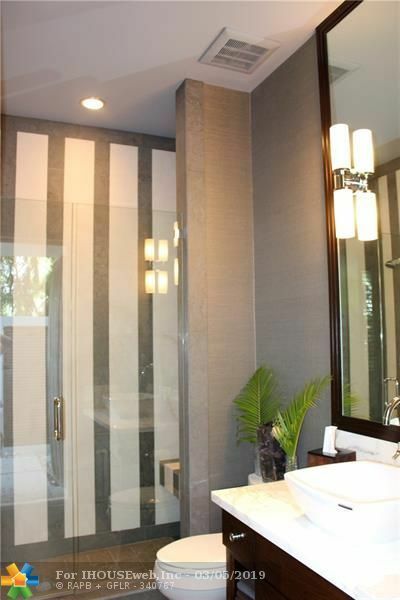 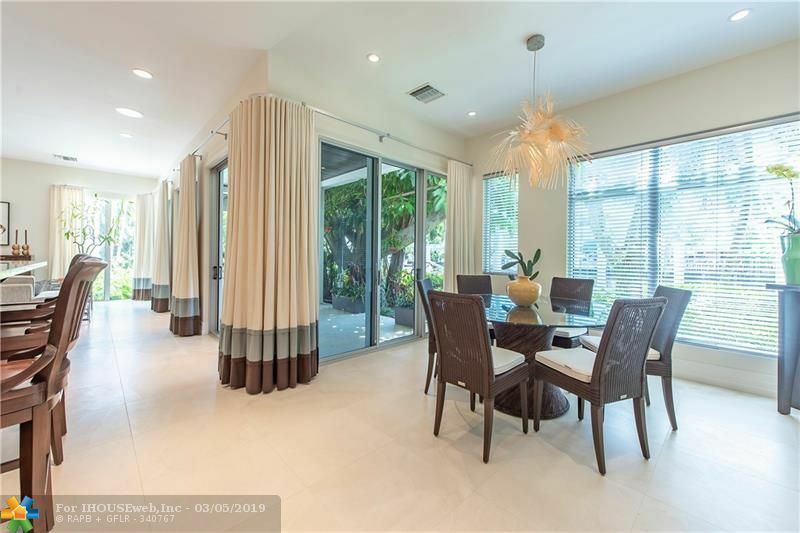 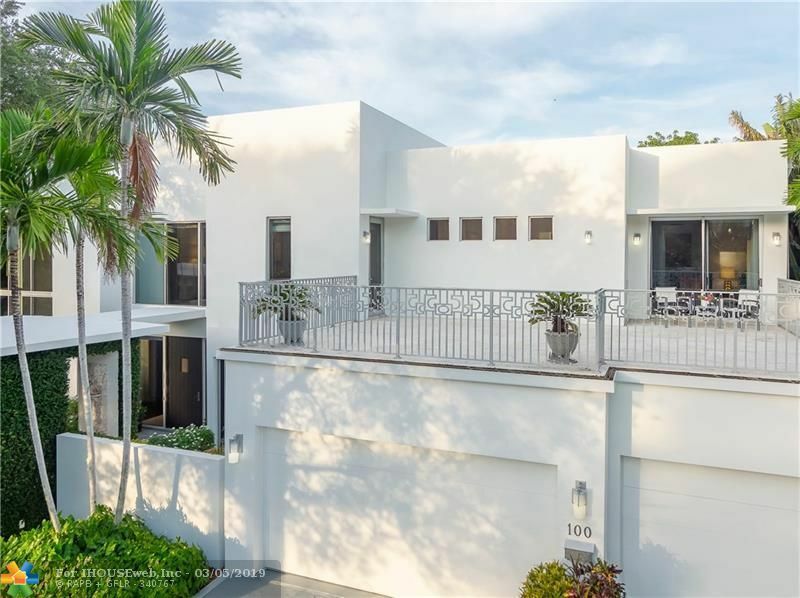 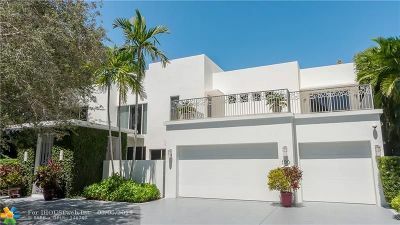 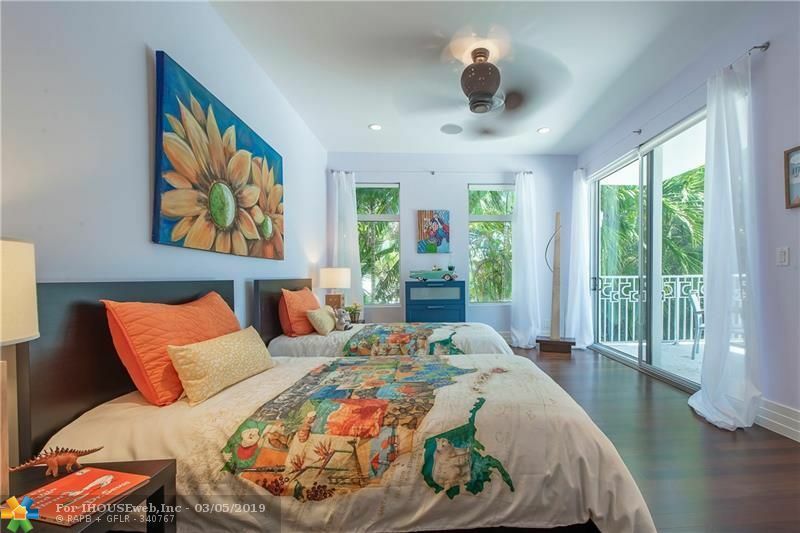 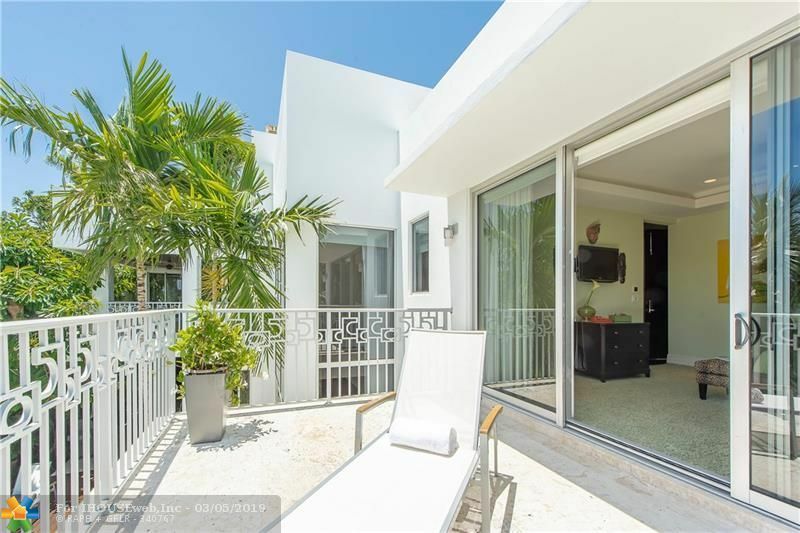 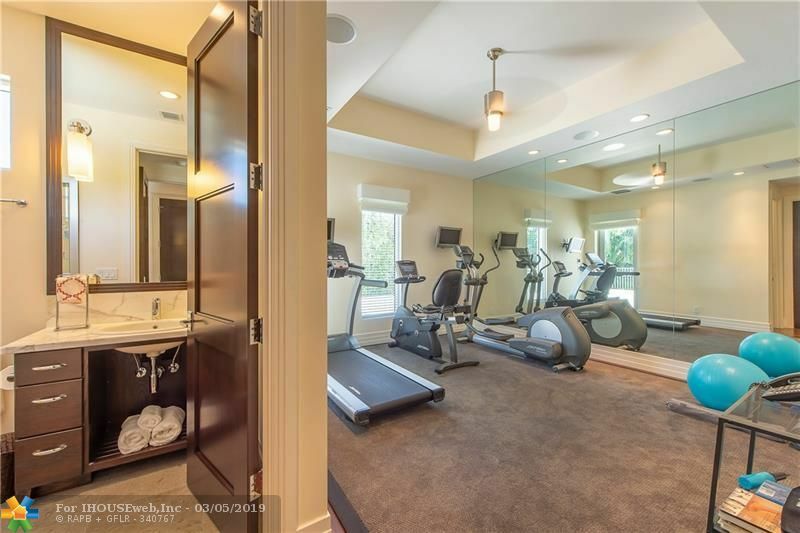 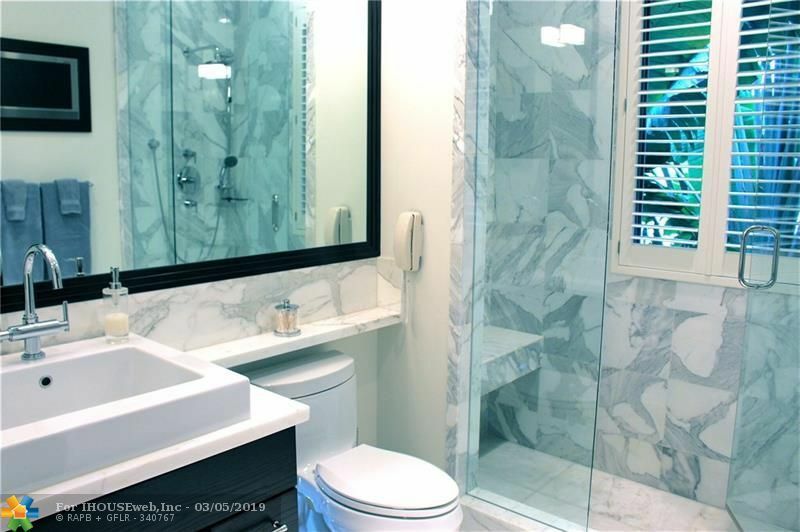 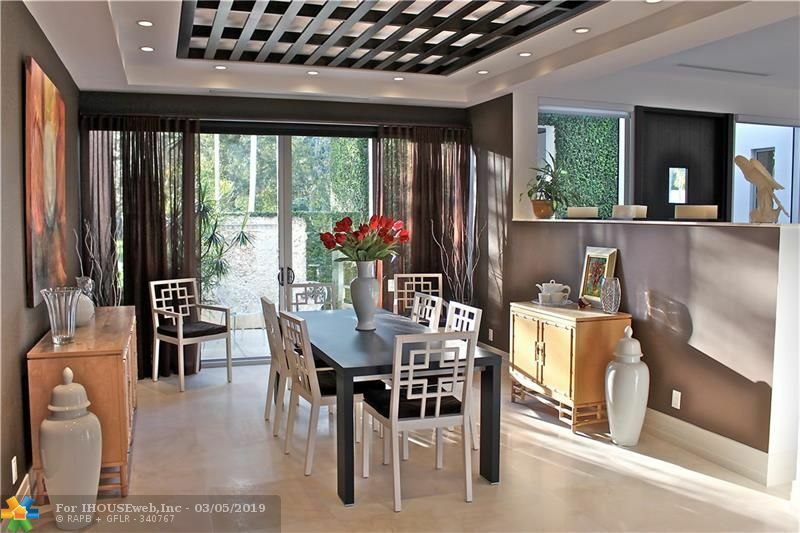 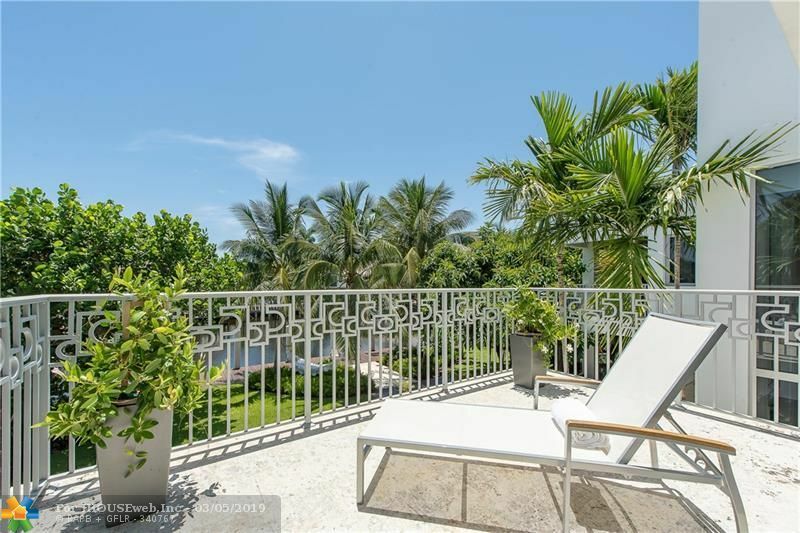 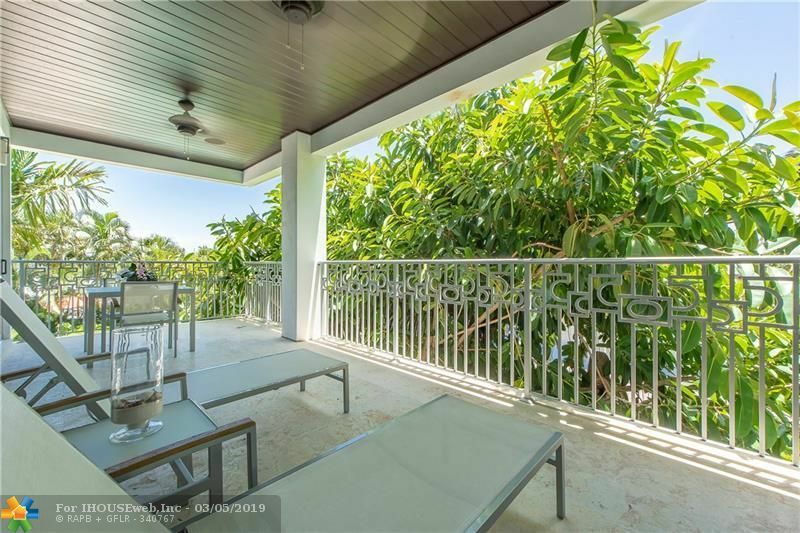 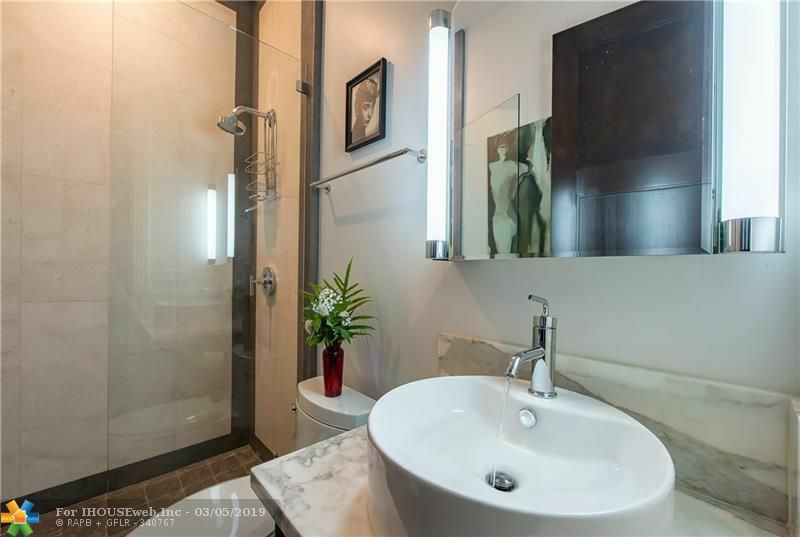 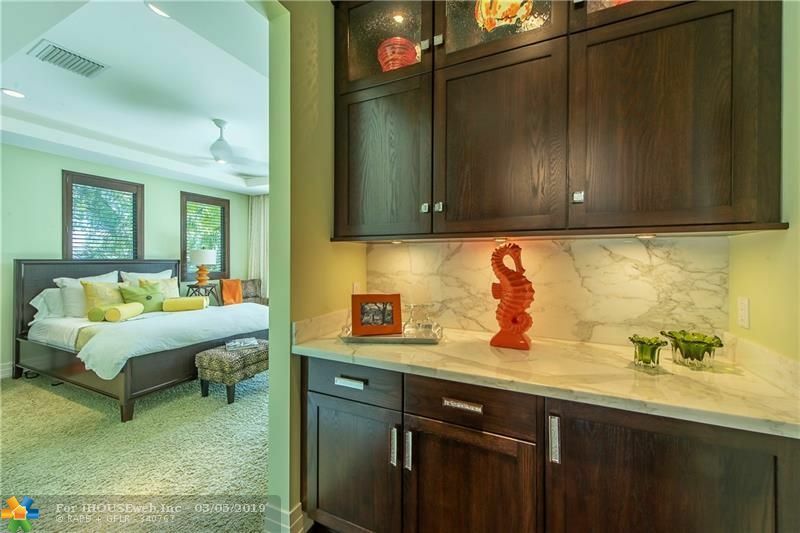 Located just blocks to Las Olas near a beautiful neighborhood park! 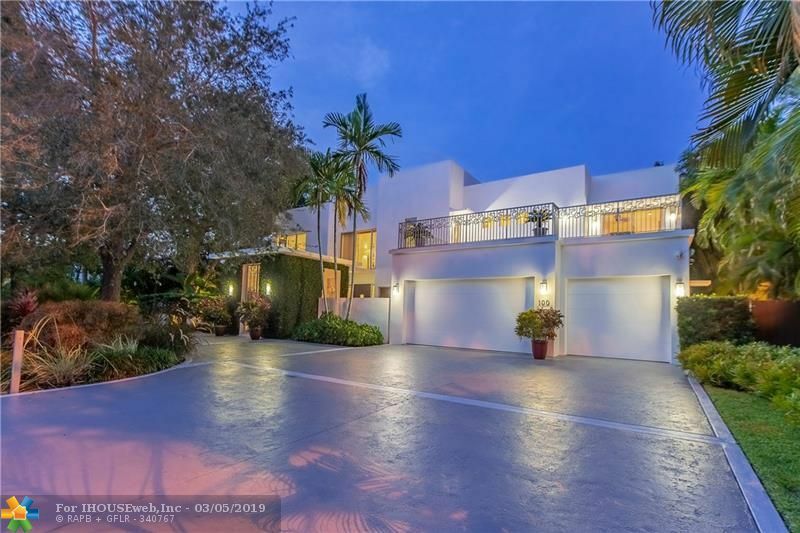 Directions: Broward Boulevard East To Victoria Park Road. 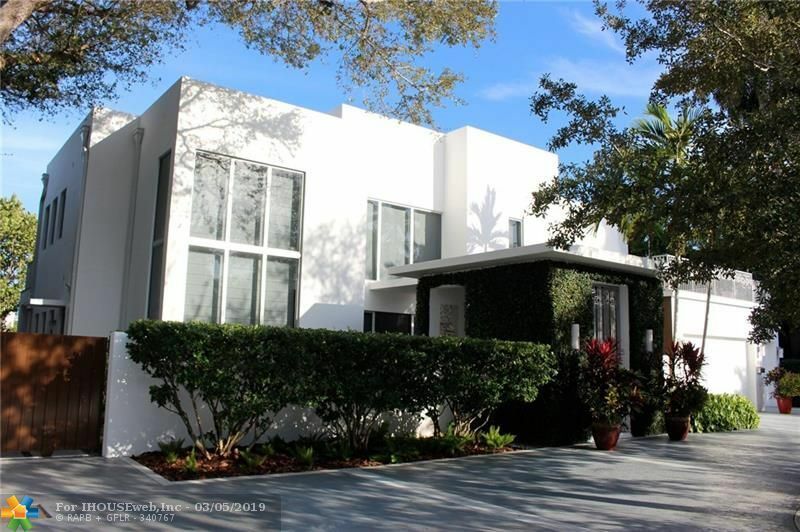 North On Vpr To First Stop Sign (NE 1st St). 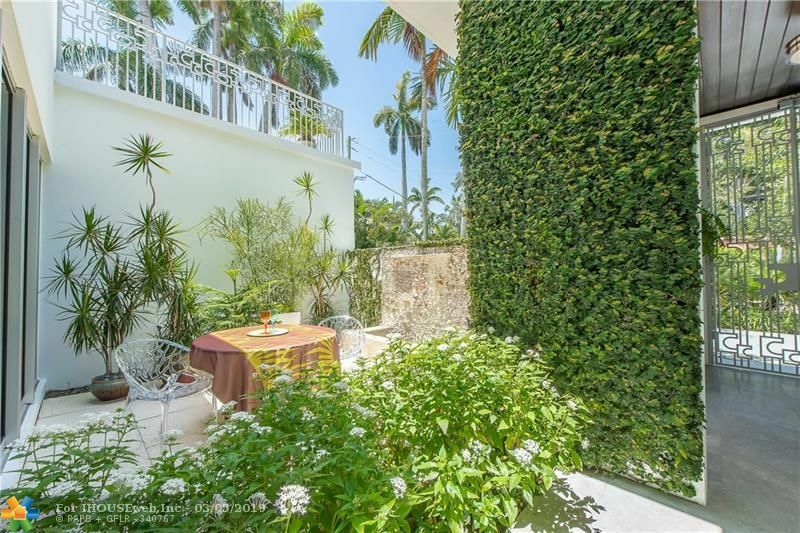 Right On NE 1st St To Property At End Of Road.